We are excited to announce that Delicious Decors has launched Premier Home Staging in Florida! We service east coast Florida, from Palm Beach to Miami County and the west coast, from St. Pete’s / Tampa area to Sarasota. I’ve had my eye on extending our home staging services to another area for several years, particularly the coastal Florida regions. I’ve been following the real estate industry in Florida for quite some time and saw a need for Premier Home Staging. 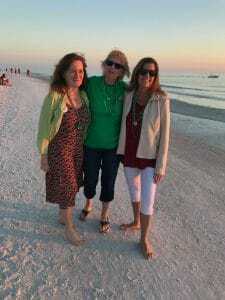 In March, my college roommate and best friend from grade school planned a reunion in Siesta Keys for St. Patrick’s Day Weekend. It was the first time the three of us had been together in 26 years! Girls Just Wanta Have Fun! 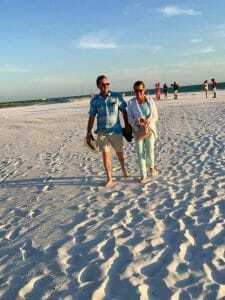 Shortly thereafter, he and I visited both Florida coasts and he was onboard. Florida’s natural beauty and business opportunity made perfect sense. So there you have it … Delicious Decors Florida was born! We provide a range of home staging assistance for real estate agents, investors, developers, and homeowners. We promise excellence in both service and results! We look forward to seeing you in the Sunshine State! Launching Delicious Decors Premier Home Staging in Florida is a Dream Come True!